No, we are not talking about people on rafts in the pool during the summer. Floaters are those vexing shadows that occasionally move across our eyes. To some, they look like threads, specs, or black spots. They are most visible when looking at a white surface such as a blank piece or paper or a field of snow. Floaters are a part of the vitreous gel inside all our eyeballs that shrinks or becomes damaged in some fashion as we age. Floaters tend to be more common with those who are nearsighted. Many floaters sink to the bottom of your eye due to gravity and are only visible after changing positions such as getting out of bed in the morning. 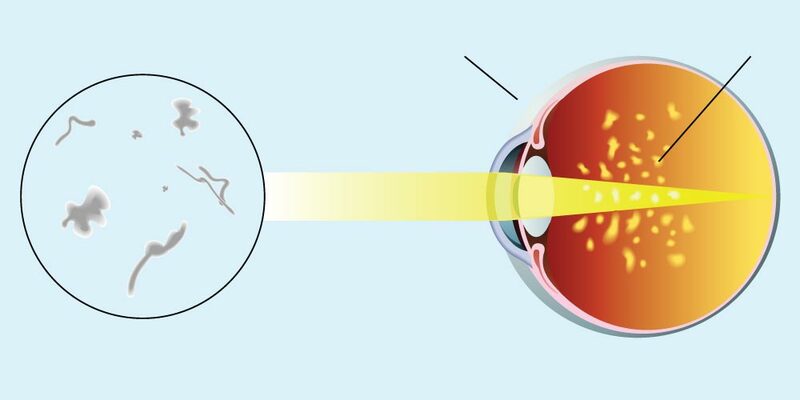 Most of the time, floaters and flashes don’t pose a big threat to your eye health and often fade with time. However, some floaters can be associated with vision-threatening disorders that can cause retinal detachment and blindness. There are no eye drops, medications, vitamins or diets that will reduce or eliminate floaters once they have formed. If you have concerns, schedule an eye exam with us today.